(Palo Alto, Calif.)—Peninsula Open Space Trust (POST), a nonprofit dedicated to protecting open space throughout the Peninsula and the South Bay, today announced the appointment of Ken Yeager to its board of directors. Yeager joins POST with more than three decades of public service experience, including 12 years as District 4 Supervisor for the County of Santa Clara, where he championed fiscal stability in healthcare, public safety and social services. He was the first openly gay elected official to join the Santa Clara County Board of Supervisors, completing his last term in 2018. Yeager previously served as a councilmember for the City of San Jose from 2000-2006 and served two terms on the San Jose/Evergreen Community College Board from 1993-2000. He served on the Local Agency Formation Commission of Santa Clara County for seven years where he cast numerous votes to preserve agricultural farm lands. Prior to his career in politics, Yeager lectured in the political science department at San Jose State University for 12 years. He is also a former board member of the Bay Area Air Quality Management District (BAAQMD). 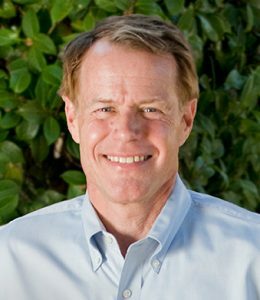 In January 2009, then Governor Arnold Schwarzenegger appointed Yeager as the BAAQMD representative to the California Air Resources Board, which is responsible for reducing air pollution and combating global warming. He was named Community Health Partnership’s Community Health Champion in 2014 and won Breathe California’s Clean Air Leadership Award in 2011. Throughout his career, Yeager has sat on 16 public service boards and 11 community involvement boards, where he demonstrated a commitment to environmental issues. He has also published two books, Trailblazers: Profiles of America’s Gay and Lesbian Elected Officials and Child Care and Electoral Politics at the Local Level. Yeager holds a doctorate in education and master’s in sociology from Stanford University, as well as a bachelor’s degree in political science from San Jose State University. He resides in San Jose, California, with his long-time partner, Michael Haberecht. He is a triathlete, fitness enthusiast and enjoys commuting to work by bike.